The World Cup has ended and now we won't be hearing anyone ask "can you put the soccer game on?" for four more years. We talked about the final for the final time this year and said goodbye to the World Cup. 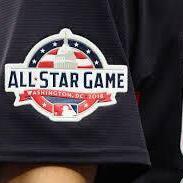 Also on tonight's show, we did a little recap of the Home Run Derby from last night and talked about the upcoming All Star Game as well. Luigi gave out his lock pick for tonight's game as well. For a little extra fun, it will be the fans vs Luigi building and All Star team of players from 1981 to today. We touched on some NBA and MLB news and Luigi went off about why teams need to cash in their chips. Also he mentioned an interesting thought on trading a popular star in Philadelphia. At the end of the show, Luigi talked about Valerio the escaped killing Jaguar and explained why Harambe got a raw deal. Also, Joe Corrado can't make it tonight so Dr. Catfish Charlie has been called up to co-pilot the dumpster this week. All that plus the usual nonsense which is this podcast.